Princess Leia: Help me, Obi-Wan Kenobi, you’re my only hope! Darth Vader: I got you, Luke Skywalker! Sand People: No Stereo? Who doesn’t have a stereo in their land speeder? Obi-Wan Kenobi: Boo, I got you Sand People! Obi-Wan Kenobi: Here’s a light saber! Princess Leia: Not you again! 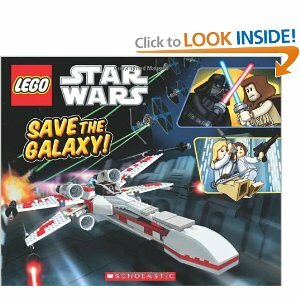 Han Solo: Should I blow up the death star by shooting my gun? Darth Vader: Search the Can Opener for the crew! Obi Wan Kenobi: Luke, you must go on without me! Batman: I’m flying in to the rescue! I’m coming to fight the death star by throwing batarangs at it. Death Star: I’ll shoot lasers at you! Zeebu: Hi-Ya! I’ll get you, battle droid! Batarang Man: Flying to the rescue! I got you, Darth Vader! Superman: I’m flying to the rescue too! I’m going to break the storm troopers with my super punch! Batarang Man: Ouch! Where am I? Storm Trooper: Your’re in a trap, Batarang man! Batarang Man: I’ll just throw a Batarang and it will shoot lightning and make a hole and I’ll get out. But wait, how can I get out? Sarge: Yes, it is time to shoot cheese at these storm troopers! Han Solo: I’m shooting all the Storm Troopers! For basic, no frills, math facts practice we like Math Drills. This app allows for multiple users and customization for each user of the difficulty of each type of problem. Want your student to practice on only more difficult adding problems, a full range of subtraction problems or only 2’s and 3’s facts in multiplication? It’s a cinch to set that up. You can also customize the number of problems that will be offered for un-timed review, timed practice or a test. I found this to be well worth the $1.99 I spent on it! Skill Builder Numeracy is a free option (at least as of this writing) for no-frills practice with fewer customization options and no differentiation between users that we used before purchasing Math Drills. For math fact practice with lots of fun included, my kids really enjoy HyperBlast and Doll House math. HyperBlast lets the user ride through a tunnel shooting aliens, avoiding obstacles, and other challenges. There’s a brief break in the arcade style action every few minutes to answer a few math problems. Dollhouse math lets kids buy dolls and items for a doll house after completing a few math problems. There’s more “fun” than practice in these apps, but it’s always nice to sneak in a few extra math problems here and there with the fun! Number Math is a great app for practicing other numeracy skills, such as greater than/less than, skip counting and number order. This app is free as of this writing, and features multiple levels of difficulty for each skill. The only app for time telling that we’ve tried so far is Jungle Time. I read a lot of favorable reviews for this app, but it was not as much of a hit with my 7 year old. She found the interface for entering the time a bit difficult to use — there were many times when she knew the correct answer, but accidentally entered the wrong time anyway. Do you have any apps you love for math practice? Last Friday, Miss M asked if she could do school in her “prairie girl dress” (and of course the bonnet is a required accessory). We weren’t doing anything messy, so there was no reason not to wear it. She’s using the abacus here to help her say the multiples of seven. The abacus is one of my favorite parts of RightStart math. It helps the student easily visualize what is going on with various math operations. 1. Here’s two things Mr E is proud of this week — His “Giant Monster” duplo creation and reading the book Stop Pop (nearly) all by himself! The flip-a-word series of books is a great phonics-based series of books. (we find them at the library) — it’s too bad they are out of print! 3. We were back in the swing of things on Wednesday. More math drawing lessons for Miss M! I think we’re almost through the geometry/drawing lessons in Right Start Math level C.
4. We’ve been working on lesson D-7 in our science book, Building Foundations of Scientific Understanding, for the last couple Family Science Nights. We talked about orbit this week — I didn’t know until recently that orbit is caused by a perfect balance between the forces of gravity and inertia. Here, Mr. E is “orbiting” the “earth” (aka tape on the floor) and learning this concept. We also listened to a really interesting portion of a Radio Lab program talking about Newton’s theories about orbit. 5. Monday holidays generally mean 50% of sales at our nearby thrift store. Often the sale is just on clothes and textiles, but this time it was on everything! So, Miss M and I spent some of our President’s Day holiday perusing the book section, and picked out…18 books! Miss M was excited to add more Boxcar Children titles to her shelf, and I was excited about several Newberry award/honor books and titles to fit in with future history studies. 6. We started a new “whole family” read aloud — Prince Caspian, the second book in the Chronicles of Narnia series. Mr. E took this picture of daddy reading to everyone. We haven’t done whole family read alouds very often yet, but I am sure it is something we’ll do much more of as the boys get older. 7. Just in case you ever think that things are peachy and perfect all the time around here, I thought I better share a picture like this from a couple days ago. The school room looked like a disaster after the boys spread leftover valentines and miscellaneous art supplies around the room. Then Mr K dumped the crayon bin on the floor. On purpose. After several refusals to clean up (complete with consequences after each refusal), he finally cleaned up. Needless to say, school was interrupted while all this happened. Then this morning I went upstairs for less than five minutes, the boys decided to make a huge mess by dumping a bunch of tiny stuff (legos, cars, etc) behind the couch. Life is not always smooth sailing as we homeschool, but we try and learn through it all (including me, as I learn to keep my cool through it all!!!). 8. Not really related to homeschooling, but I was so happy that I was able to get baby J on my back in my mei tai carrier without help. After a couple nearly disastrous tries when Mr. E was a baby, I never even tried with Mr. K and assumed I would need to use a buckle carrier (I have a toddler patapum) to carry my babies on my back. But apparently lots of practice with a buckle carrier prepared me to now be able to safely do it with the mei tai. Yeah! 9. Miss M “caught reading” at the table. She decided to go back and re-read “The Lion, the Witch and the Wardrobe” for herself (we read it outloud as a family several months ago). She is enjoying it so much that she’s been reading it every spare minute and will finish in record time. Have a happy weekend! 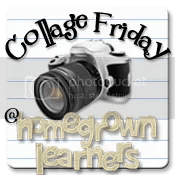 I’m linking up with Collage Friday @ Homegrown Learners and Weekly Wrap-Up @ Weird Unsocialized Homeschoolers! No t a Box by Antoinette Portis: This simple board book has inspired a lot of imaginative play over the past couple weeks. It’s a pretty simple concept – a box being used in creative ways. But the execution of that idea is very well done in “Not a Box”. You know the book is good when the boys beg me not to take it back to the library even though we had already read it many times! We may end up buying this one for ourselves. Zombie in Love by Kelly DiPucchio and Scott Campbell: This was one of our read-alouds last week for Valentine’s (selected by Mr. E), but the boys requested it several times last week. A zombie desperately wants a date to a dance, but he just can’t please the ladies with his diamond ring (still attached to a finger! ), dead flowers, and “interesting” attire. As long as your kids know that zombies are, as Mr. E puts it, “just pretend dead people monsters”, then they might enjoy this one! Do you have any favorite funny picture books? I started the school year with great intentions of tracking exactly how many “school days” we had completed so that we too could have one of those cool “100th day” celebrations I had heard about. Our state does not require a particular number of school days nor are we required to track or report “attendance” in our homeschool, so it was purely my own motivation driving me. Obviously it was not a large amount of motivation, because my cute checklist fell out of use around day 20! I had my planner out today to count how many weeks we had left before we take a summer break (we’ll do some school over the summer, but a much lighter load), and how this corresponded to the number of lessons we have left in RightStart Math level C. (I think we’ll have somewhere between 10 and 20 lessons left in the level by the end of May). On a whim, I decided to look at the calendar and attempt to count how many days of school we have completed. While I am not 100% sure of my accuracy, I think today actually marked our 100th day. Whoops! Not being one to want to miss out on a celebration, I think we’ll have a slightly belated “100th day” celebration next week and celebrate “Leap Day” (aka February 29th) as well. 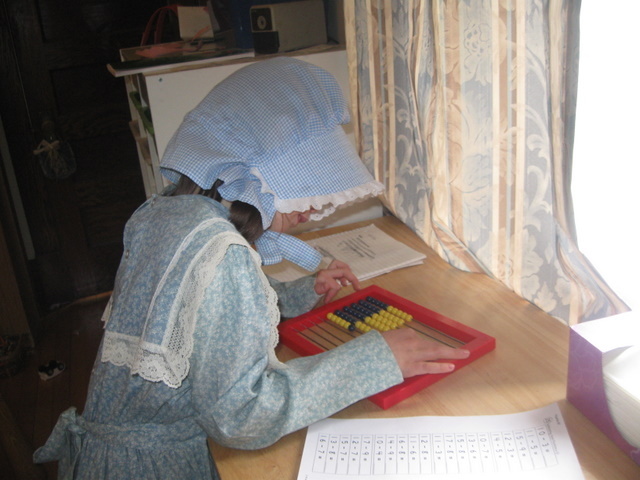 There are so many ways to celebrate 100 days — many of them involving math of course! Here’s one link I liked with many, many ideas! I also created a board on pinterest with some of the links and ideas I have found so far for celebrating both 100 days and Leap Day. 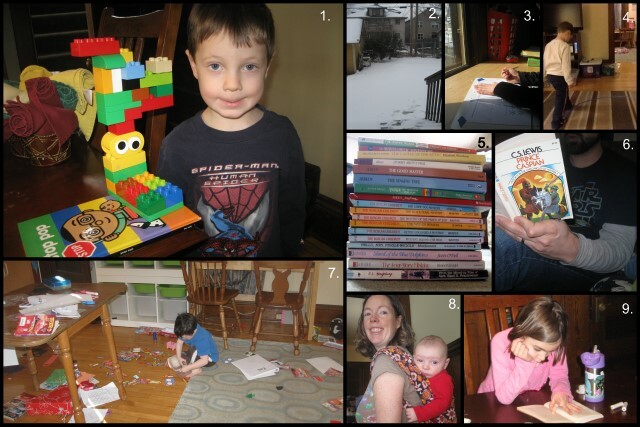 Do you celebrate 100 days of your homeschool year? Are you going to do anything special for Leap Day next week? When we got our iPad last fall, it didn’t take me long to realize that finding good educational apps in the app store can be a frustrating experience. I felt like I was wasting a lot of precious time sorting through page after page of apps, while finding few that would meet our needs. I feel very fortunate to have discovered a great site — Apps for Homeschooling. Site owner Jennifer has reviewed dozens of apps, maintains a page of free and sale price apps that is updated regularly, and regularly does give-aways or “tosses” for promo codes that can be used to get free apps. This is really not just a site for homeschoolers — anyone looking for educational apps for their kids will find this site useful. If you like Apps for Homeschooling on Facebook, you’ll see almost-daily alerts to these free and on-sale apps, as well as having the opportunity to jump in on promo-code “tosses”. Even when you do find apps you like for your iPad, iPhone or iPod, it’s easy to be tempted to spend way too much money buying them all. 🙂 By checking the Apps for Homeschooling site or reading Jennifer’s posts on Facebook, I have gotten many, many apps for free or for a very low price. Another site I recommend is Digital Kindergarten, a blog written by a Kindergarten teacher who uses iPads in her classroom. Check out the two pages she mentions in this post for a long list of apps she finds useful. I also take note when bloggers I already enjoy share about their favorite apps Carisa at 1+1+1=1 and Erica at Confessions of a Homeschooler both share lists of apps they like. As I mentioned in my first Tech Tuesday post, I have a Pinterest board dedicated to homeschool tech, including several links to posts or sites with lists of educational apps. I’ll keep adding more as I find them! What sites have you found to help you discover great apps? I’m linking up with Tech Tuesday @ Sunflower Schoolhouse!